Design territories, deploy your sales force and maximize commercial performance with Beghou Consulting and its proprietary suite of products. Accurately designing sales territories and assigning field sales representatives isn’t rocket science. But it’s close. Beghou’s Meridian is a suite of intuitive tools that help life sciences commercial leaders optimize sales force deployment and territory alignment. It uses proprietary algorithms and Google Maps to offer custom recommendations and provide visualizations to help you explore various sales force deployment scenarios, target the highest-potential markets, allocate the right number of field sales representatives to those markets and make necessary ongoing adjustments to align with sales force and product strategies. Target the right geographies and design the territories that give your sales team the best chance of success. Allocate sales resources properly across markets using algorithm-driven guidance and custom recommendations. Adjust your strategy and redistribute sales force resources across territories based on field and management insights. Test sales scenarios and develop benchmarks to guide product launch commercialization efforts. Align territories and deploy sales resources with precision and confidence based on Meridian’s accurate insights. 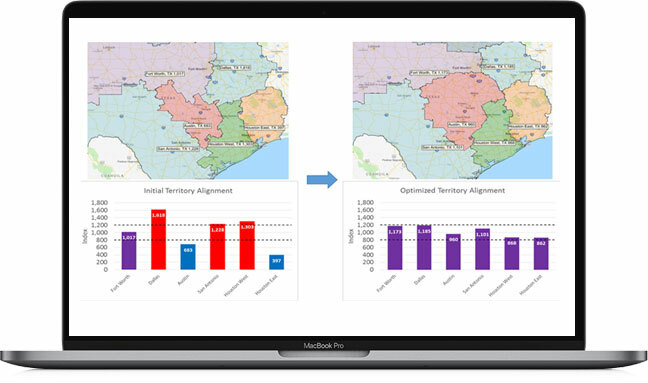 The Meridian suite includes solutions for sales force deployment, territory configurations and mapping. Charting territories and deploying field sales resources requires terabytes of data and in-depth market analysis. We created Meridian to do much of that hard work for you. With three solutions that Beghou consultants can tailor to your needs, Meridian answers your toughest sales strategy questions. Beghou uses advanced, proprietary algorithms based on its 30-plus years of experience in the life sciences industry to help you place the right number of field sales representatives in key markets. 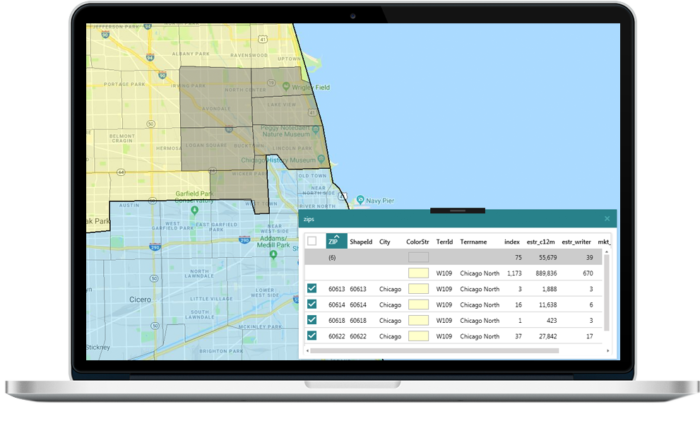 Configure territories and allocate sales resources across geographies to maximize coverage of top customers and boost your chance of commercial success. 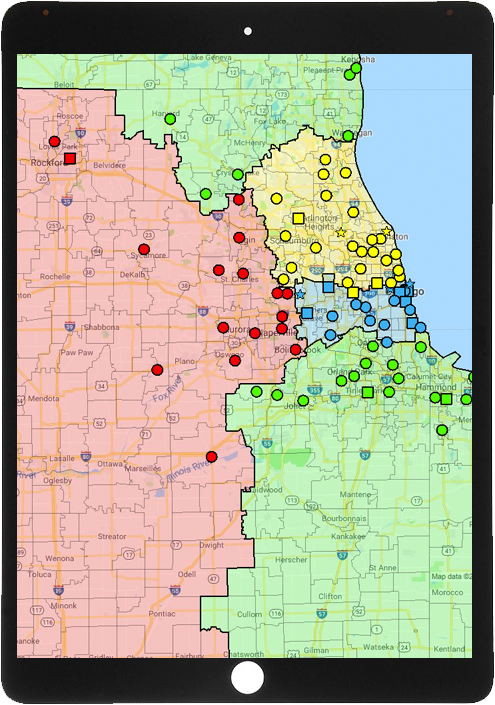 Use Google Maps to view your territories and distribution of field sales representatives. Then, make on-the-spot adjustments based on field insights and corporate directives. Would you like to learn how Meridian can help your sales force?